There have been tons of fresh cherries available at our local supermarket lately, so I have been busy experimenting and coming up with a few new cherry recipes for you. Up until now, I only have my shared my Raw Cherry Ripe Slice and Black Forrest Smoothie. 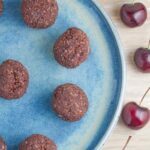 These Raw Chocolate Cherry Bliss Balls came about when I was making my Nut Free Chocolate + Coconut No Bake Bars, as many of the ingredients are the same. These bliss balls are gluten, dairy, nut and refined sugar free, as well as super easy to make. 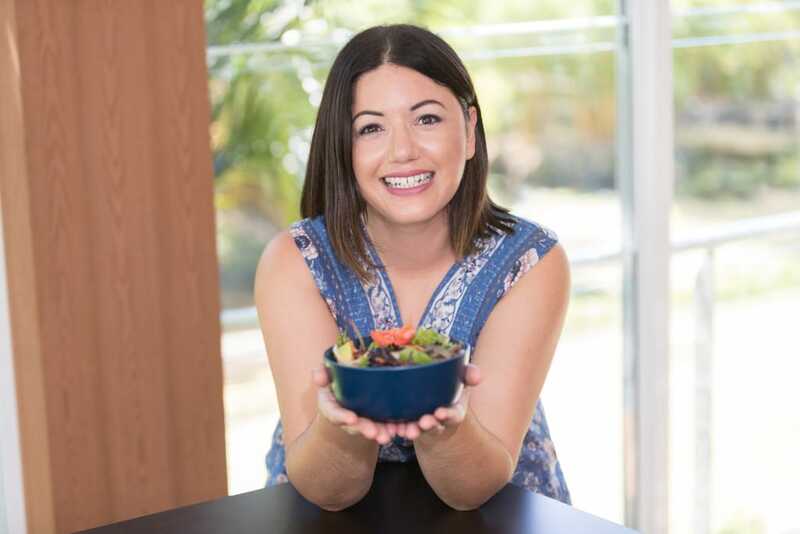 As you might know by now, I am a big fan of super easy to make healthy desserts. Check out my Raw Chocolate Chip Cookie Dough Bars and Nut Free Caramel Fudge Bliss Balls if you need further proof. I have a few more cherry recipes that I plan on sharing with you. But for now, enjoy my latest creation – Raw Chocolate Cherry Bliss Balls. Add all the ingredients to a high speed blender (or food processor) and process until well combined and the mixture sticks together. Roll the mixture into small balls and place on a baking tray, lined with baking paper and place in the refrigerator or freezer to set. The cook time does not include the time it takes for these bliss balls to set.